What is the biggest omission from the BMW line up? 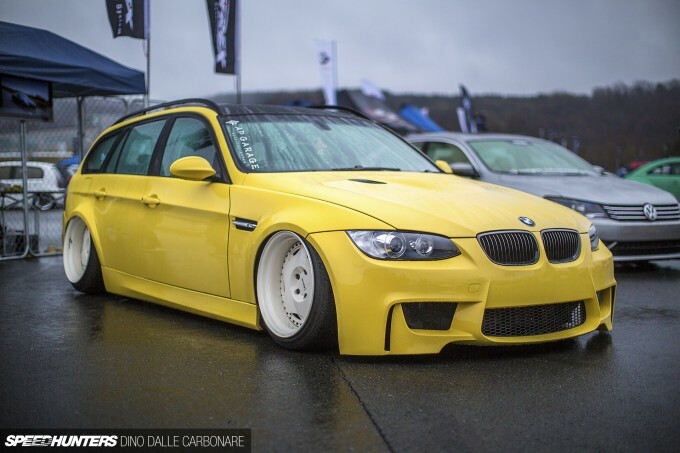 Very simple – an M3 station wagon. Why BMW doesn’t want to give us enthusiasts a car that would obviously rival models like Audi’s RS4 Avant and Mercedes-AMG’s C 63 Wagon is beyond me. Will it happen with the current version of the F30 M3? Probably not. So what are people to do? 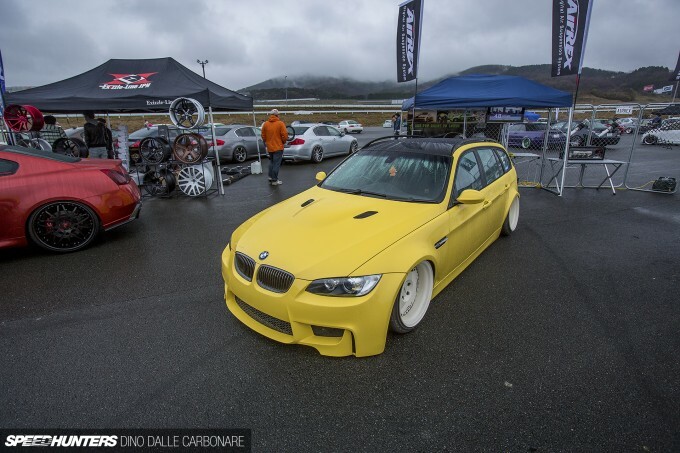 Well, they can make their very own using a bit of imagination – which is exactly what AP Garage from Osaka has done with this E91 Touring. Granted, it isn’t running the M3’s hard-revving 4.0L V8 under the bonnet – as appearance is all they were concerned with for this show-oriented build – but otherwise I think they’ve pulled off the M3 look rather well. Up front a set of M3 fenders replace the narrower stock items, and while AP Garage were at it they made sure that the inner edges of the arches were cut and rolled to maximise the space within them. That allows the i.force FD-50HD wheels to tuck in neatly once the Airex suspension is dropped down to its lowest setting. The conversion also includes an M3 front bumper, grille and bonnet to make sure that everything lines up as it should. If you are out to steal attention at an event like The Check Shop’s Track & Show at Fuji Speedway, where I found this BMW on the weekend, then selecting a unique colour is a must. The choice of pastel yellow certainly made sure this wagon stood out amongst the masses of low-slung show entrants. Rather than mimicking the M3’s rear fender blistering, which was perhaps considered a tad too conservative for this project, AP Garage took care of the custom metalwork themselves. The radial widening of the rear arches follows the profile of the front ones, and opens up plenty of space for the wider wheel and tyre combo. Aside from a black roof that imitates the M3’s carbon one, everything else was kept stock looking. To me, it just adds to the well-executed feel of the project. It’s not the first time we’ve seen someone give their 3 Series wagon M3 flavour, so it’s obvious there are a ton of people out there who are craving for an official M3 wagon from BMW. I know it would instantly become my dream family car. BMW has given us the M5 Touring in the past, which you would think would be far more of a niche product, but no M3. What gives? BMW – listen to your fans! The lead pic had so much potential. The rest....ew. Surely the previously featured red and silver (M3HUP) wagon's would be better taste examples. Regardless, yes, BMW have missed a huge opportunity not building an M3 wagon. An alternative is always the 335i (6cyl TT) manual wagon and do a front end conversion. Sure not a v8 but seriously close in performance for much lower investment. 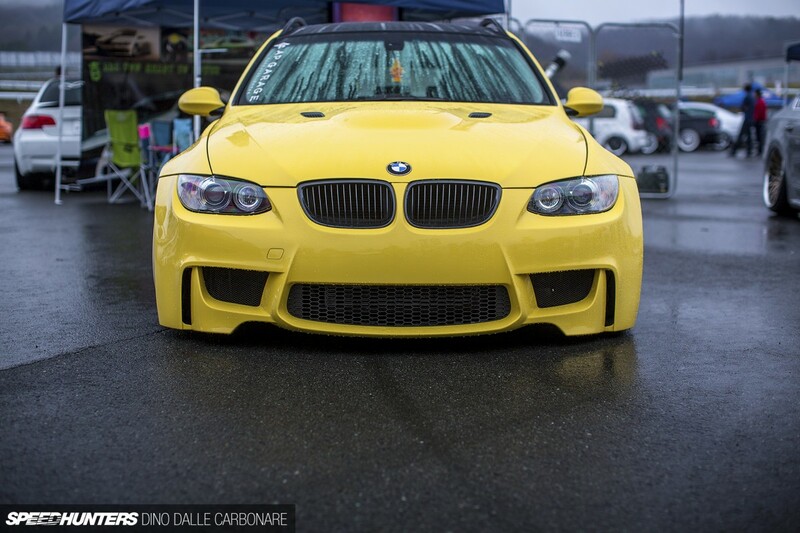 its not even an m3 front bumper! I say: No. They are even "this close" to ruin (off) white rims for me. Like @Spanksy said, so much potential in the title pic! So, carry on, there is nothing to see here. 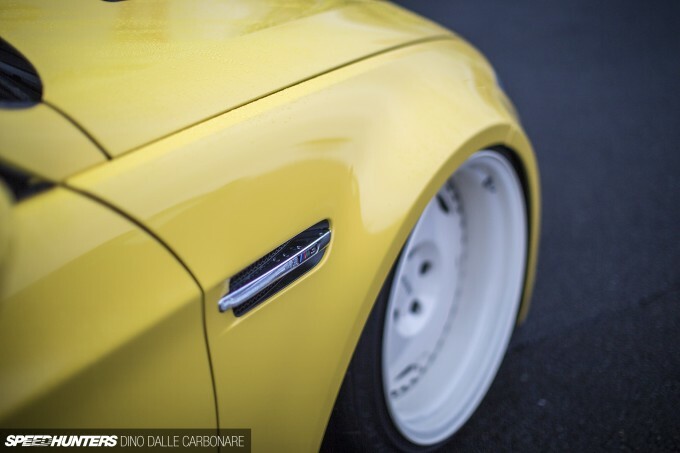 "... but otherwise I think they’ve pulled off the M3 look rather well." So what are you on? Battery acid? An M3 wagon, a Z4 GTR (think Z4 GTE/LM for the street), the M2 (remember the Gran Turismo concept car they made? ), big M saloons with names that make sense... there's still more Bimmer hasn't made. As for this particular car... this just needs OZ's and proper ride height. Two big niggles, but once dealt this M3 will shine. Has potential. But for now, kill it dead. BMW needs to give us ruined cars from the factory! They need to take a car that has a great chassis and completely screw it up! Yeah, absolutely...no. There are loads of amazing E91 M3 conversions, including at least one that's been featured on this site (the Phantom you linked to in the post). This one, however, is a bit of a dog's dinner. All mouth and no trousers, wheels that look like winter steels painted white...sorry, a no from me. The only thing remotely M3 about this are the badges. Pjotstra If it's a 335 (either 'd' or 'i') as the exhausts suggest, it has plenty of go! Wow, the haters are awake early this morning. 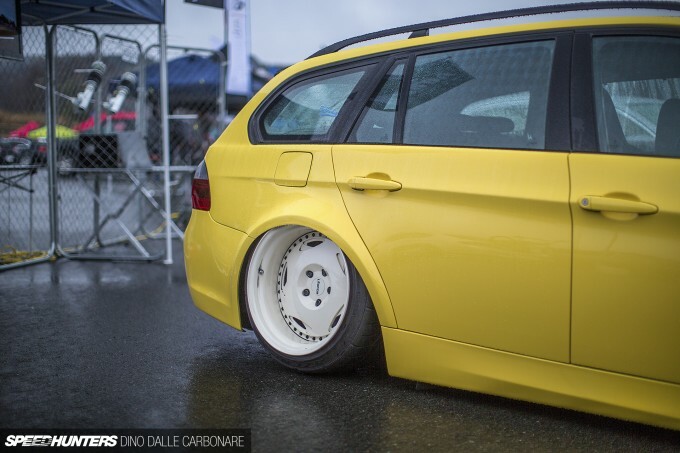 Even if you're not a fan of the wheels or air suspension, you have to admit that these guys did a good job of adding an aggressive look to the 3 Series wagon. Dino never said "Hey look, this is an M3 wagon!" He simply said "BMW should make an M3 wagon, and it should look something like this." gliebau My '99 has an M engine, trans and brakes. I still won't call it an M car. There's a mistake in your article. You put it's an M3 bumper, when actually it isn't. It's a 1M Style Replica M3 Bumper. Sonic6L its a m3 bumper with a 1m lower. so you are both correct. Looks really bad. And by bad I mean ugly. ..and Im a BMW & wagon guy..
No its really not. Look it up. You can buy these bumpers for E9x and E8x. They're replica bumpers which are already made. Top part is usually M Sport or ///M. Bottom is the 1M. My buddy has the same one on his 335i E92. That's well and good but the above article is about an E91. Not an F30. The bumpers are alr why available to buy premade by Chinese and Japanese companies. Here in the UK they're easily available. F30 premade bumpers are already in production/development by the same companies meaning you would have had to do the conversion. For the E series cars you don't need to do it. You can buy the bumpers already done which I said before. Looked good from the front...but I saw the stance, wheels, and that awful rear camber. And air suspension? HA! No thanks, BMW can keep that. Another car with potential gone to waste. Why so much hate? Not a wagon fan, still loving this! I think the word your looking for is 'Different'. 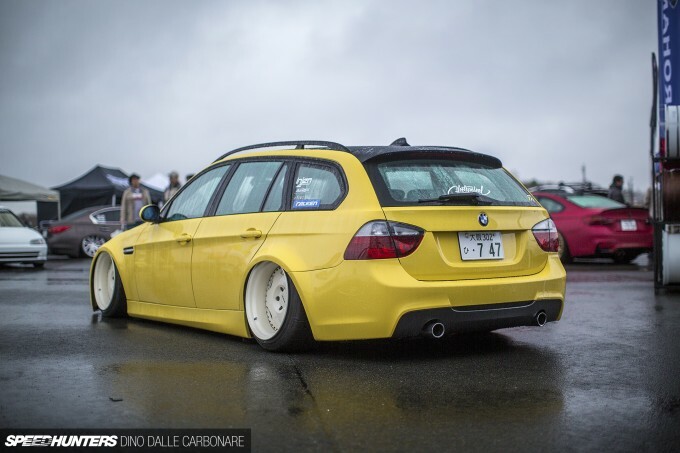 You ask why BMW won't give us an M3 Wagon, and then proceed to show us a cambered out, hellaflush-yo, 3 series wagon with a few M3 exterior parts that are basically direct bolt-on, and NO M3 performance goodies, like a 4.0 V8. As this thing stands, it can't even PERFORM as well as a stock 3 series wagon. I'm sorry, but I was under the impression that the M3 was a performance car, and I think BMW is as well. There are quite a few examples of people who have already done the FULL M3 conversion to their 3 series wagons, including the engine and other performance goodies...some have already been linked in the comments here. So why in the hell is this piece of trash special? 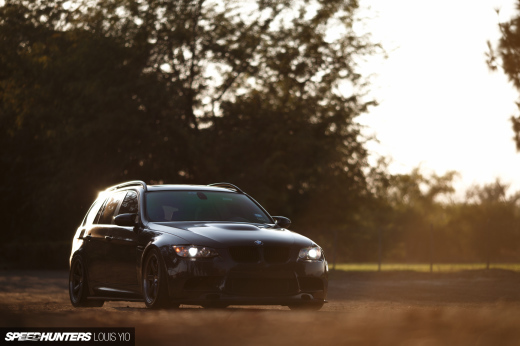 Step your game up and feature a 3 series M3 converted wagon that deserves to be featured. This wagon is clean...round of applause. @turbo BEAMS ae86 Same headlights I think but could be wrong. The only diifference is between Saloon and the others (I.e. E90 headlights won't fit an E91, E92 or E93). 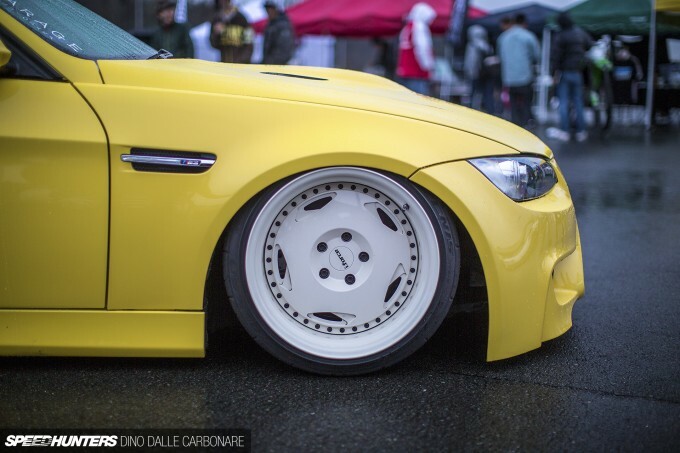 This reminds me to the "Phantom M3," only with camber awesomeness! "I think they’ve pulled off the M3 look rather well." Are you kidding? Looks good, but there's no way something like that would ever emerge from the BMW factory. I hate to say it, but BMW absolutely should not make a M3 wagon. Why? Because all of the people who think a M3 wagon is an awesome idea are the same people who would not walk into a dealership and buy one. It's all, 'That's awesome, I'll wait until it's depreciated by 75%.' Look at the CTS-V, that is exactly what people said they want, but people didn't buy it. I wish there were more cool wagons too but fact is that people don't buy them in big enough numbers to convince the manufacturers to make more of them. Best we'll probably get is a X3 M.
GVIrish Now that's objective point of view! Sonic6L exactly my point which what I was trying to tell you. There are cars out there done much better than this, I know of an E91 conversion and at least 1 E36 version, both with full running gear and bodywork. But neither of them have air suspension, so wouldn't meet Speedhunters monthly quota..
@GVIrish You are exactly right. Enthusiasts do not equal buyers. If half the people on these boards and websites put their money where their mouth was, we would have some badass cars to choose from. Turns out most of us need practical, fuel efficient, safe cars to get back and forth in. Doesn't mean we can't make them more fun tho. 1013mm Sonic6L You don't go to Mt. Sac do you? The car looks clean and mean! Just because some haters don't like the fact that its not rockin' the same deep dish wheels as every other car out there, haha. Its unique and different that's why haters don't like it, thanks for this article! 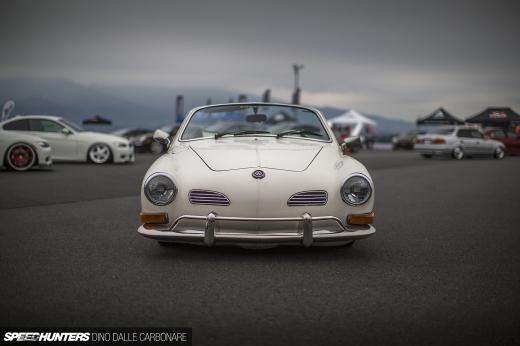 So your sayin the Japanese are only good at modifying Nissans and Datsuns? That's the most ridiculous thing I've heard in a while. The previous one linked in this article was amazing, this one, not so much. Looks...cheap. 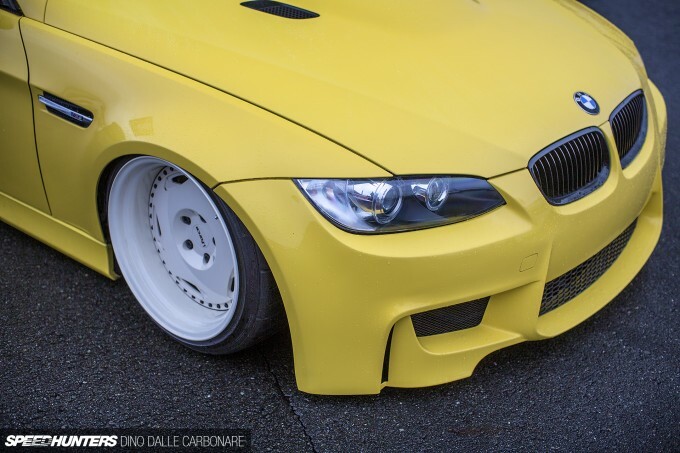 why is a bumper swapped BMW feature worthy? if it had the matching engine, yes, but what's so special about thisk? Wheels can make or break a build. Call this one Humpty Dumpty.